With its apply named Riverbed hardwood flooring, Naturally Aged Flooring has captured the mystique of gazing into the crisp clean waters of a flowing brook as it wends its way to larger water. A rugged blend of grey tones washed against distressed oak make Riverbed a breathtaking choice for your next flooring project. Moments of earthy tones fade in and out against shades of wet silver playing tricks on your eyes. 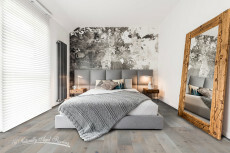 The peppered tones of Riverbed floors are accentuated with a clouded ashen filler embedded into the knots and cracks of white oak giving a look and mood reminiscent natural stone. Amber splashes of wood hint through the otherwise water beaten image, which are further emphasized with band saw marks and wire-brushed distressing, bringing the movement of the wood to life as if the water itself were rushing against the grain patterns of white oak, long one of America’s favorite woods. A stream of creamy white is washed over the wood floor to bring it all together. It’s as if you can sense the sunlight giving you a clear view of the river’s bottom - so close you can touch it. 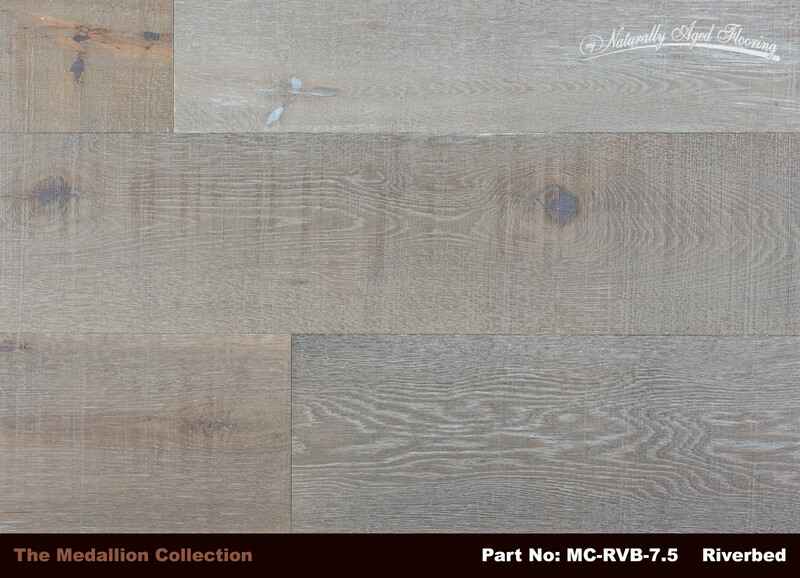 Riverbed features large 7 ½” wide planks that truly epitomize our Medallion Collection, and when it comes to engineered wood flooring, Naturally Aged Flooring has long been an industry leader. Quality and attention to detail makes Naturally Aged Flooring products stand out above the rest. 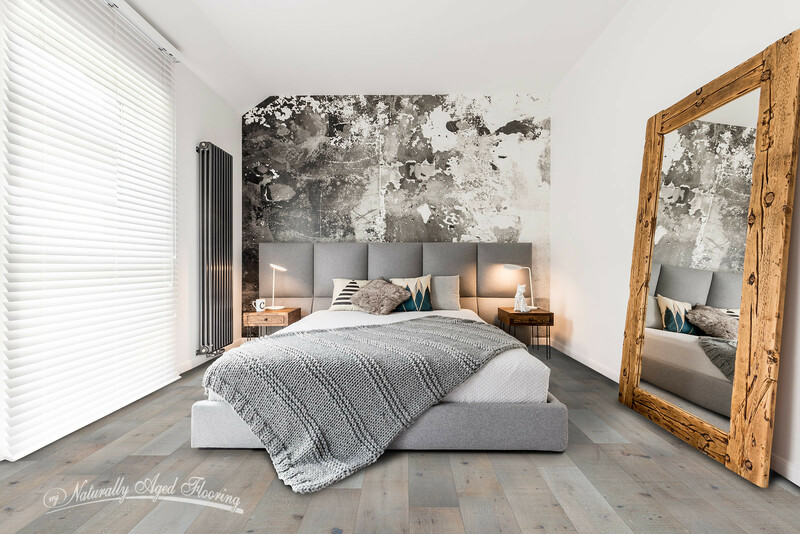 Feel the difference true quality wood flooring brings as you relax and dip your toes into Naturally Aged Flooring’s Riverbed.